Bert was born April 25, 1931 in Penny, BC, raised and a long-time resident of Prince George, BC and went to be with the Lord on April 9, 2018 in Kelowna, BC. He is survived by his daughter Ricci (Ed) Tonn; grandsons: Landen (Jessica), Kalem (Larissa) and their daughter, Harber Emily; siblings: Eugene (Hilda), Reinhold (Eileen), Toby (Henry) Wiebe and Larry (Jan). Predeceased by his wife Beatrix, brother Herb and sister Trudy. A Memorial Service will be held on Monday, April 16th at 10:00 am at Springfield Funeral Home, 2020 Springfield Road, Kelowna, BC. In lieu of flowers, donations may be made to Central Okanagan Hospice House, c/o Kelowna General Hospital Foundation, 2268 Pandosy Street, Kelowna, BC, V1Y 1T2, www.kghfoundation.com or Faith To Live By, Box 426, Winnipeg, Manitoba, R3C 2H6. 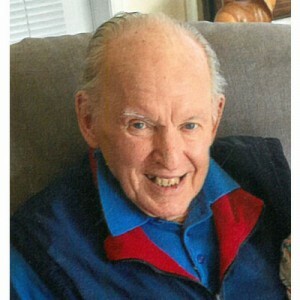 The service for FICHTNER, Berthold is scheduled for Monday, April 16th at 10:00 am. Below you will find the map for the service location and the contact information should you have any questions. I met Bert at Hawthorn Park, where I was introduced to him as the instigator of the twice weekly Krocanole game in his condo complex. A wonderful gentleman who loved games. I will miss him. Please accept our condolences on the loss of Bert. We have so many fond memories of him! He was larger than live, and lived life to the fullest. He always had a tall tale to tell and an infectious laugh, and at the same time was a sincere and good hearted, kind man. We wish we could be with you today to celebrate Bert’s life; please know that we are there in spirt and that we will be thinking about you a lot today. So many memories of this very special person making it difficult to find just one… Well one that will be forever imprinted in my mind is of fishing with Uncle Bert and Aunt Bea on Stewart Lake. We had a lovely time, and then it happened. We were trolling in front of the outflowing river mouth when his motor quit. Although he laughed and joked, trying to downplay that we were drifting ever nearer to the river mouth… I knew that we were going to get sucked into goodness knows where, and perish. He chuckle at my constant pacing and questions about how progress was going on this motor problem, but I’m sure he was ready to throw me overboard. Paddles came out and we rowed to the safety of shore where he got the motor going again… Fish On. I’m so happy that Uncle Bert is at peace enjoying a new body. If there is fishing allowed in Heaven that’s where he is. So glad that I got to see him at the end of March, and tell him that I loved him one more time. Nice to reconnect with Ricci and Ed. May God bless you and keep you all in His care. Wir sind sehr betroffen von Berts Tod. Wir haben uns immer gefreut wenn er uns nach Deutschland geschrieben hat . Bert was someone special. It´s sad that hes gone now. Over a year ago my grandparents asked me if i could help them to translate his letter in german. Eventually we started writing and I really enjoied doing that. I´ve never met him or heared his voice but I was really happy that I had the chance to get to know him. I am sure whereever he is he is enjoing himself and I want to remember him exactly like this. Happy. Dear Erica, I’m so sorry to hear that your Dad has died. I remember him hale and hearty..with your Mom at the store and whenever we’d go over to your place after school. We’d listen to Beatles 45s until they couldn’t stand it anymore! !